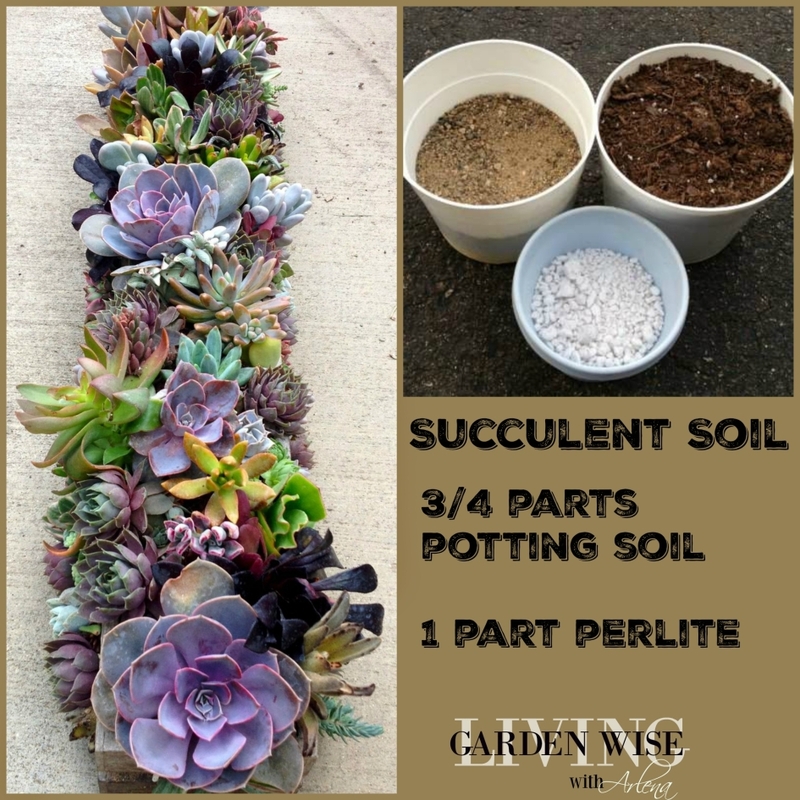 round with Miniature Gardens and succulents. I have been doing many Live Videos on Face Book and I ask you to join in on the Fun. Planting Miniature Gardens can be a fun and rewarding way to chase off those Winter Blues . Keeping the creative juices flowing. 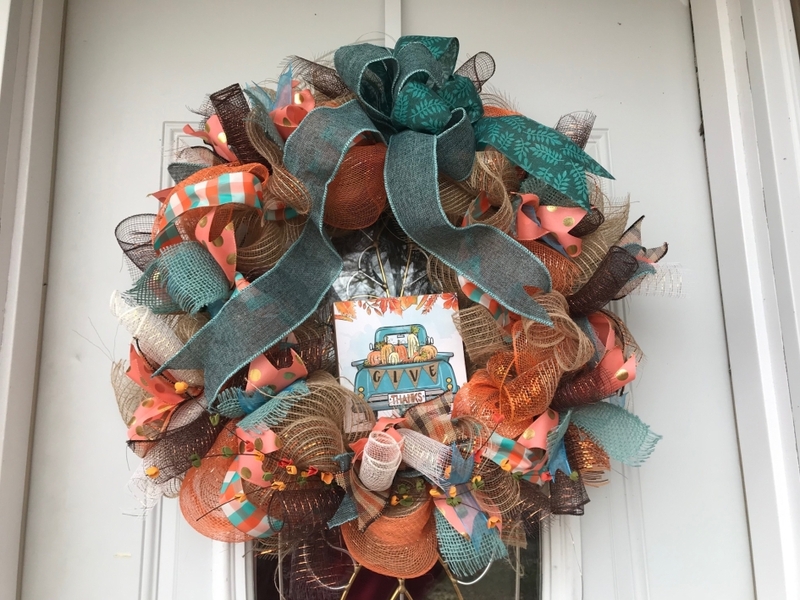 We love getting in to the craft room and with all these cold days sneaking up on us here in Wisconsin Zone 4-5 we have been busy creating some fun Geo Mesh Fall Door Wreaths like this one with the perfect accents of Blue and orange. Burr!!! It is truly cold outside here in Wisconsin Zone 4-5 . -25 today on this December Day. Tending to our Chickens here at Garden Wise Living is one of the highlights of my day . Just a few simple tips can insure your feathered friends stay nice and healthy during these cold months . : Regular and Helthy feed. : Dry and out of the Wind shelter. Follow these few rules and your girls will bless you with amazing eggs all Winter Long! Don't forget the treats ! 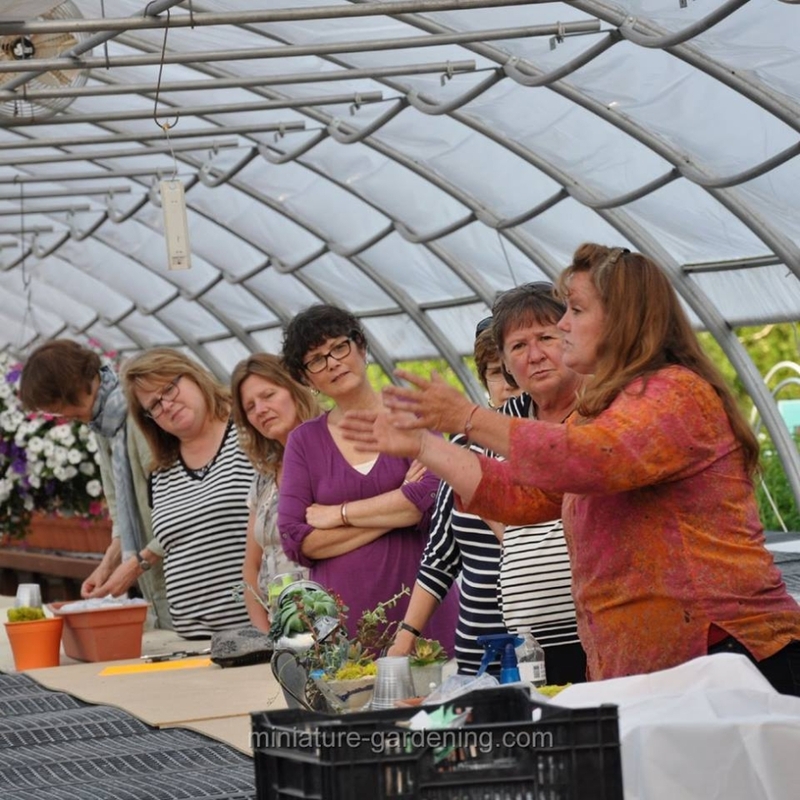 For the past 5 Years I have traveled the country leading Miniature and Fairy Garden Workshops at Independent Garden Centers ,Garden Clubs and Garden and Home Shows all along wondering when the requests to come and teach will end. 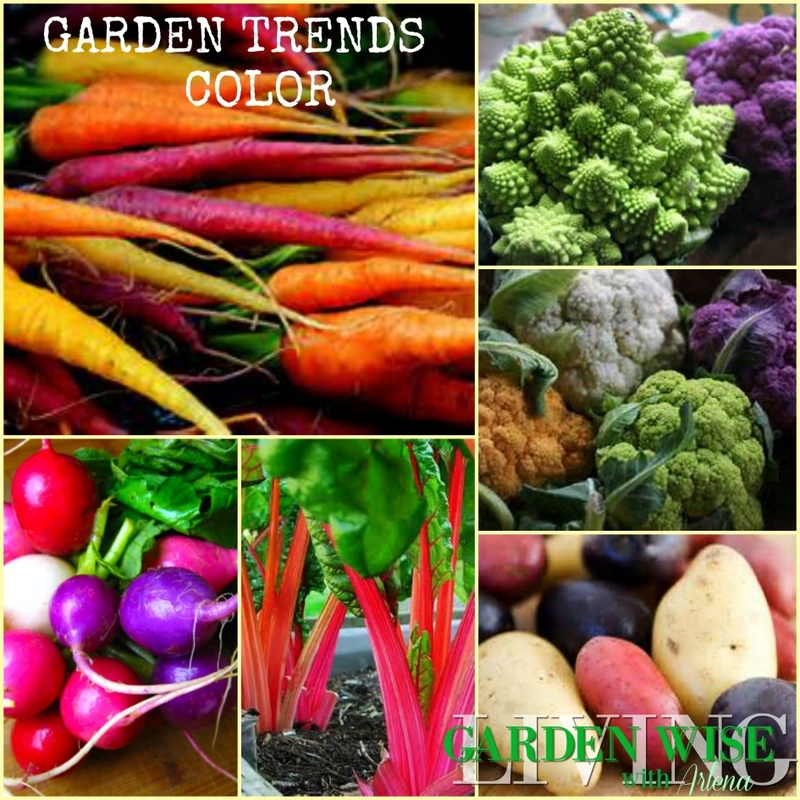 They have not ended and that tells me that this Garden Trend isn't just a trend after all. "a Miniature Garden can be as small as a teacup , a container planted with a garden on your deck or as large as a full size landscape"
Imagination is the key . 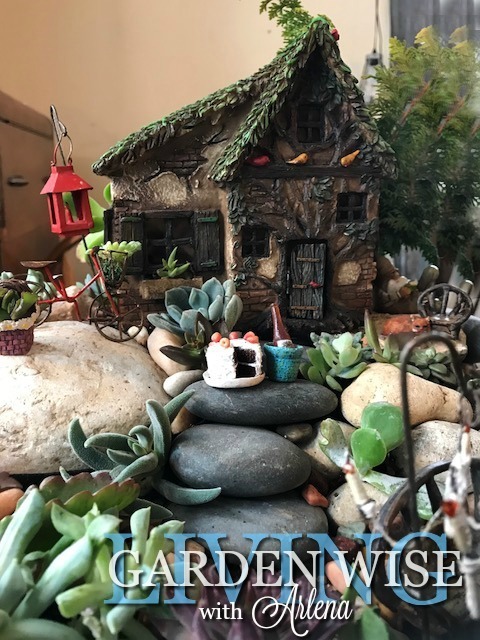 I am a Landscaper by trade so building and creating miniature gardens is an easy way for me to create and show my clients what I can do for them , full size , in their landscape. 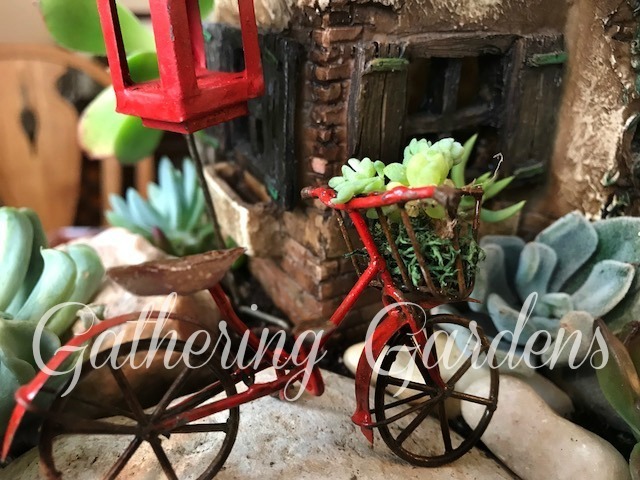 I have noticed the love for Miniature and Fairy Gardening growing from year to year and reaching across the country as well as world with requests from Africa, Europe and Australia for more information and product. 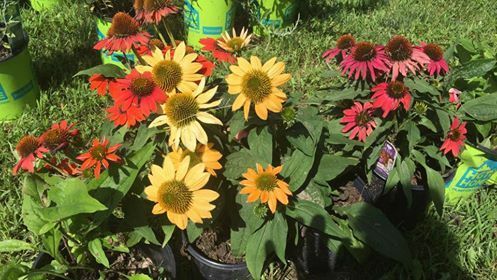 After teaching at over 100 Independent garden centers over the years I saw a need for a Group so I started Miniature and Fairy Garden Chat on Face Book and we have over 6500 Members and growing . We are excited for the gathering and look forward to the speakers presentations. If you are thinking of adding Miniature and Fairy gardening to your workshop line up don't think to long just Do It , you wont regret it . Just a few words to describe the dun we all have in the summer . 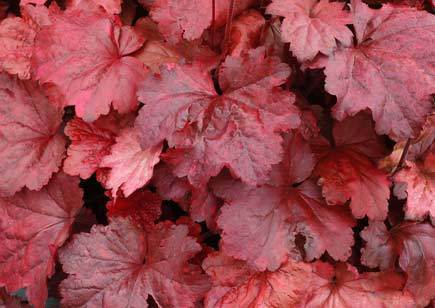 Whats blooming in your garden ?. 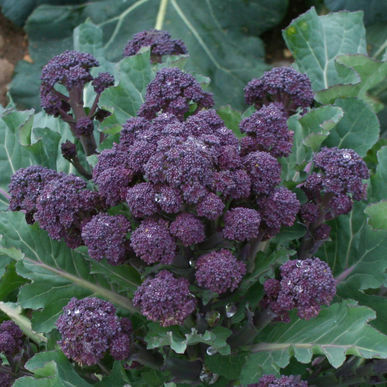 The seed catalogs are pouring in and we are excited to add a few new varieties to the garden this season. 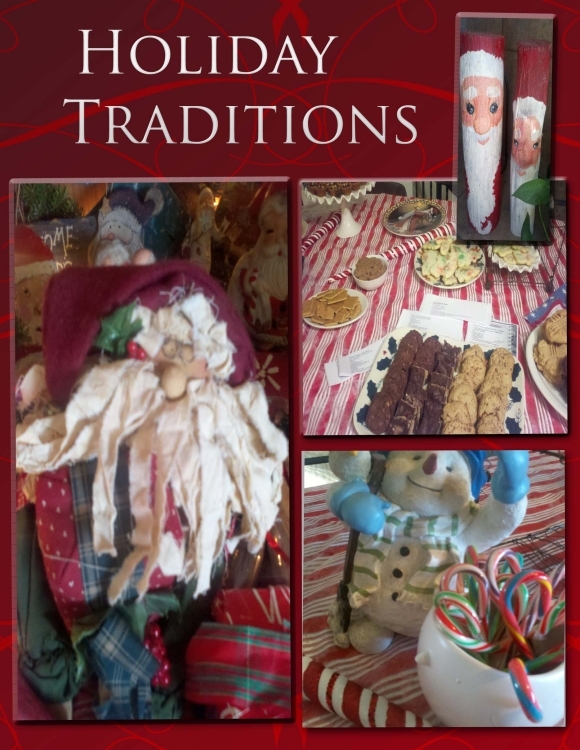 Here are a few ideas maybe you would like to try as well. Is any one out there worried that we have not had any rain these past few months?. I am really thinking about getting my sprinklers running. Why you might ask?. We have had record highs here in Wisconsin Zone 4-5 and little or no rain. 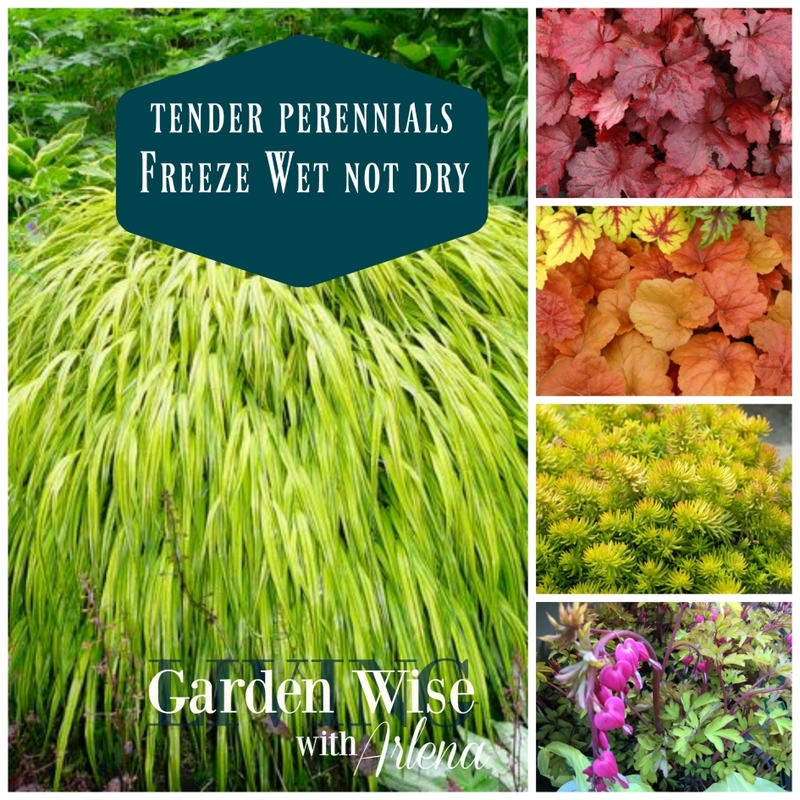 We are us to significant rain fall in the fall that allows our soil to freeze wet therefore protecting the plants when the Cold below zeros get here and they will. 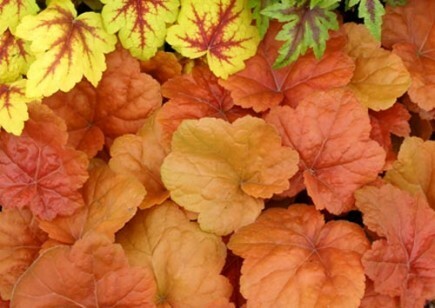 We also need a good snow fall that will blanket the wet soil and protect our like Coral Bells, Hakonechloa All Gold , any of the ornamental grasses ,bleeding hearts and some sedums to name a few. 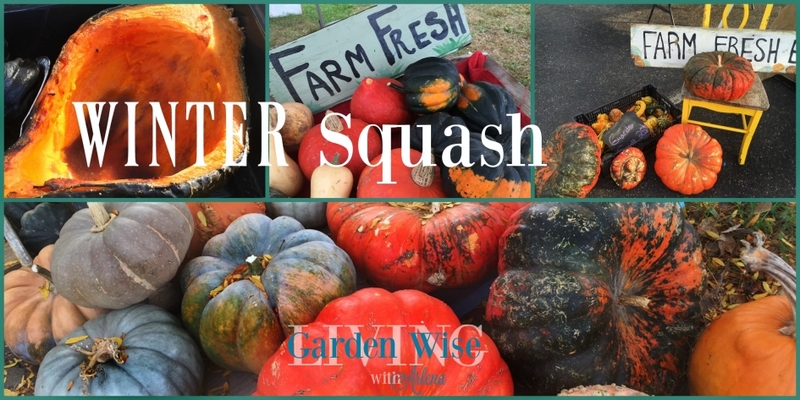 Winter Squash is one of our most favorite things to stock up on for the Winter. We roast our squash and add butter and brown sugar to make a delicious dish for any meal. 6 cups peeled and cubed butternut squash or squash of your choosing. Arlena shared a few ideas for a for Fall Decorating on WEAU TV 13 Today with Hello Wisconsin Tuesday September 22 2016 at 6:30 am CST .You can watch the spot here . 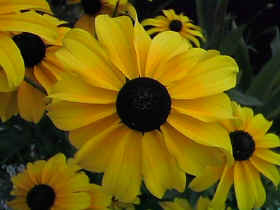 Gardening all year round here in Wisconsin Zone 4-5 even with 2 feet of snow on the ground . We are growing treats for our Chickens and they are responding with some delicious eggs all winter . 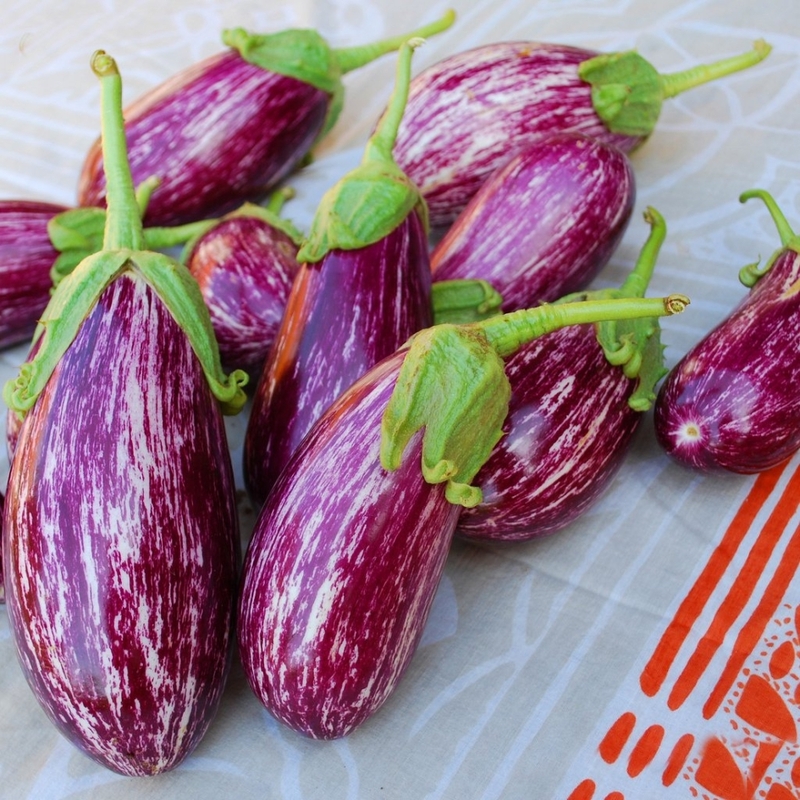 this is a fun and easy way to garden all season and provide a healthy snack for your girls . This is a very easy process . We used Wheat Seed all natural , non treated. You can purchase wheat seed from a feed store or online . 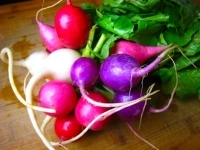 First , Soak your seed in water over night . On the second day drain off the water and let the seed sit in a jar or container and rinse twice a day. The seeds will begin to sprout in just a few days . I then spread the seeds out in a pan of some sort or a wash tub with holes poked in it for drainage . Rinse the seeds in the pan every day twice a day and they will begin to turn green . 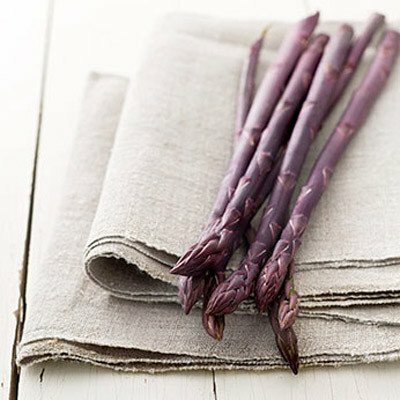 Now you can take a piece off of your wheat grass and add it to your chickens diet . They will love you with a hearty Cluck Cluck . 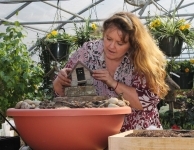 Miniature Gardening has become one of the top gardening trends in the country. 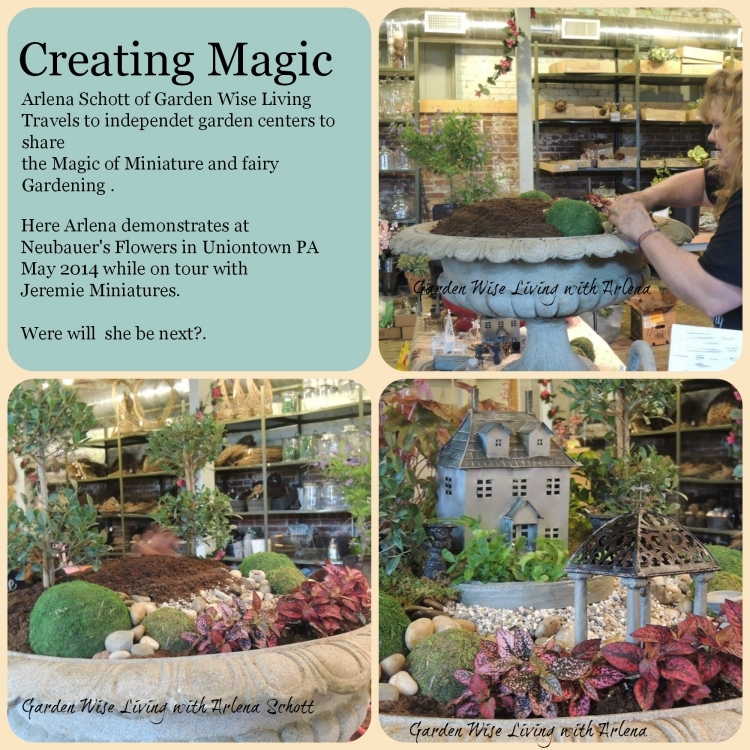 Arlena Schott of Garden Wise Living has been leading Miniature and Fairy Garden Workshops across the country at Independent Garden Centers for years and feels this trend will continue to grow as yet one more way to get our youth excited about gardening. Arlena started a Group, 3 years ago, on face Book Called Miniature and Fairy Garden Chat and the group continues to grow to over 5000 members. 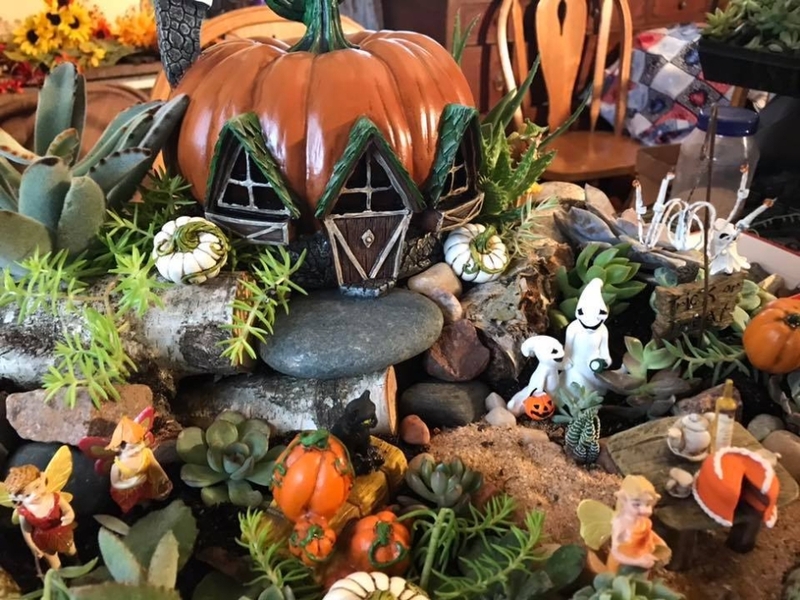 So popular is the Miniature and Fairy Garden Craze that the Group has now formed a Miniature and Fairy Garden Society and are planning a their secon annual Conference with Workshops ,seminars and Vendors for this coming July in Perrysburg Ohio 2016 . This years event will be held at The 511 Foundation in Perrysburg Ohio July 22 23 and 24th 2016. For more information you can follow the planning on Face Book Page Miniature Fairy Garden Society or Miniature and Fairy Garden Chat or contact Arlena Directly. Arlena also loves to do group Miniature and Fairy Garden Workshops and Birthday Parties. Having a small home flock has become very popular. 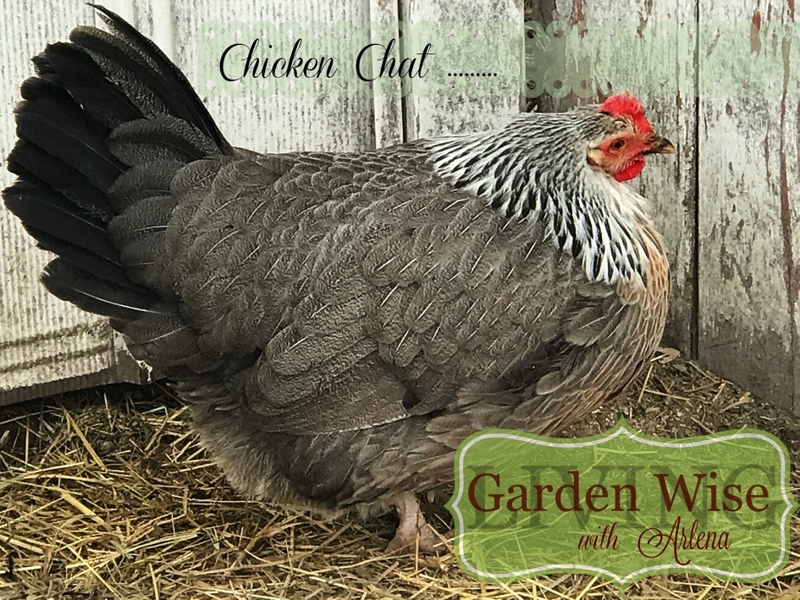 My family and I have had chickens all my life and we love the whole process of keeping chickens, hatching the eggs, raising the chicks, feeding the hens and collecting the eggs is all a very big part of what makes chicken keeping a fun and easy way to add a little country to your back yard. Not to mention the fresh eggs and meat that they may provide you and your family. A small coop can easily house 3 or 4 hens and provide enough fresh eggs for a family of 4 with very little effort and cost. First decide how many eggs you would like to have every day and that would determine how many hens you should have. There is no need to have a rooster if your housing authority will not allow one. Hens will lay with out a rooster I just find that a rooster is colorful as well as fun to hear around the farm every morning. Choose a spot that has ample sun as well as shade depending on the zone you live in. I am always sure to face my coop to the south for the winter sun and I am also sure that they have a shade tree to escape those hot days as well. 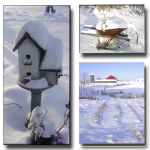 I live in the North Country and I always add a light to my coop for the winter months to insure egg production and be sure they have ample food and fresh water daily. There are days when I will add a few flakes of Alfalfa Hay to the coop so my girls have something fun to scratch in for a little treat. 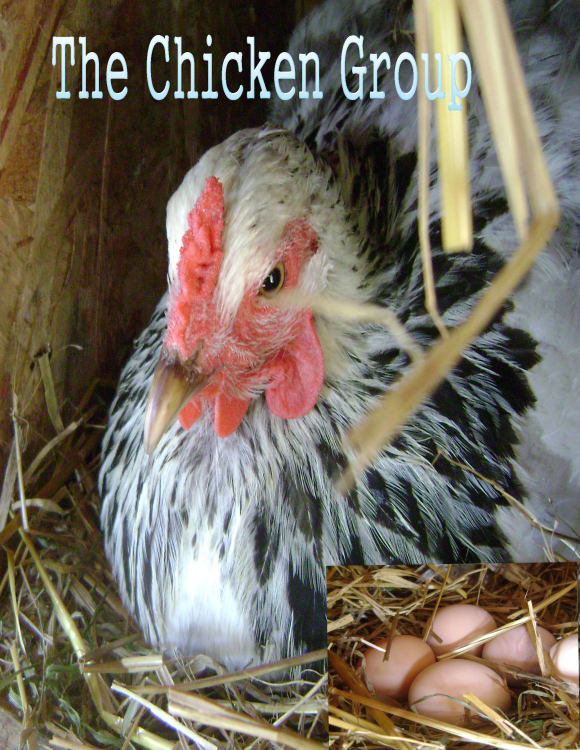 I feed my chickens cracked corn and a bit of egg layer as well as scraps and fresh greens in the winter. Chickens can be so very rewarding so if you have thought of having chickens, please give it a try you will love it! 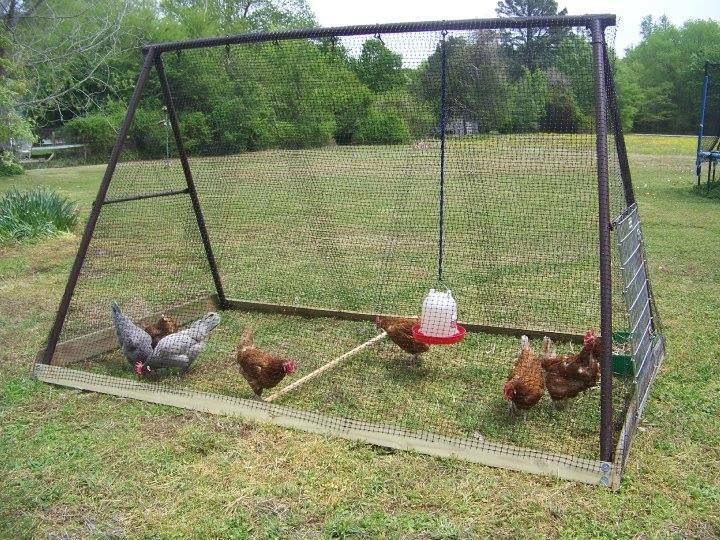 I found this DIY Chicken Tractor from good friends at homesteading Board . this is a perfect way to upcycle an older swing set frame for a nice Chicken Tractor or add a small Coop and some shade and your set with an inexspensive as well as usable COOP. 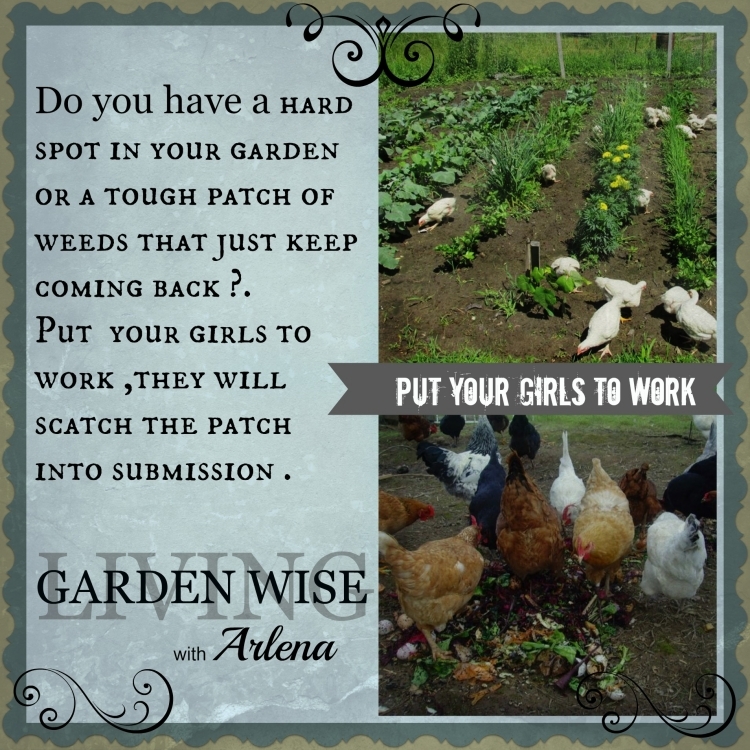 Whats Playing on Garden Wise Living with Arlena TV? I have chosen to start to upload some of my my TV series Episodes here because of all the requests from Viewers who are unable to acess my TV Series through the many Cable Channels Garden Wise Living with Arlena TV airs on.